Car2Go, the world’s largest car-sharing company, has set its sights on expanding its New York home area to Ridgewood, after seeing many of its vehicles taking trips to southwest Queens. The car-share service predominantly provides its users with Smart cars that can be rented by the hour and driven up to 150 miles from New York City. Drivers, however, can only pick-up and drop off cars within a designated Car2Go home area. 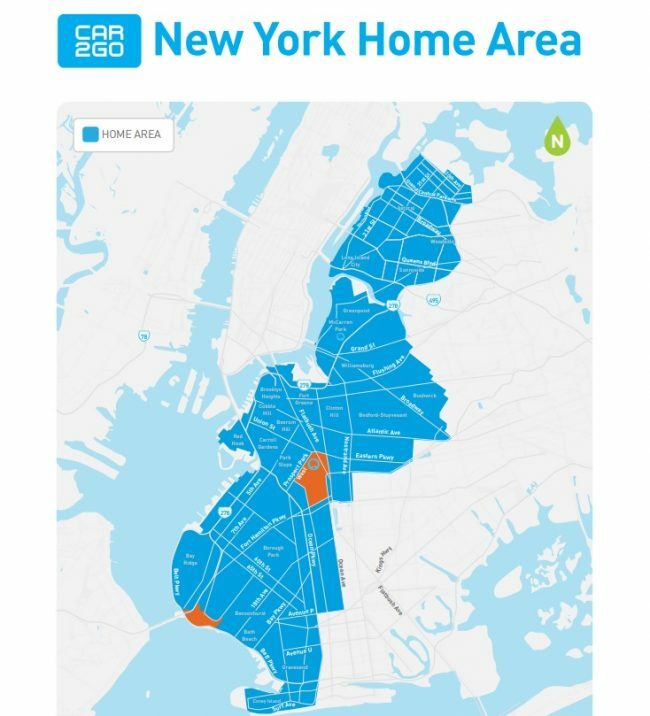 Most of Brooklyn, including Bushwick, is already a home area for Car2Go. In Queens, only Astoria, Long Island City, Sunnyside and Woodside are classified as home areas. Despite not being a designated area, more than 900 Ridgewood residents already use Car2Go. The company presented its plan to expand its home area to include Ridgewood at a Community Board 5 Transportation Committee meeting on Tuesday. The company does not require board approval in order to enlarge its home base. Carina Fortuna, a marketing specialist for Car2Go, told committee members that the expansion will not add to the number of vehicles in the area, nor will it have much of an impact on parking. Committee members were receptive to the plan. Fortuna emphasized that Car2Go will not be adding any extra vehicles to its 560-car fleet. Furthermore, cars are moved by Car2Go staff if they sit for 12 hours—much more frequently than the average vehicle. Car2Go has one designated parking lot in Industry City, but Fortuna said the company is open to suggestions from the Community Board for possible parking lots in the area. Car2Go is currently only looking to add Ridgewood to its home area at this time, Fortuna says, although the company hopes to add LaGuardia Airport sometime soon. The company did not provide a date as to when its Ridgewood expansion will take place.